While only incidental I’m sure, the two photos are quite contrasting in weather as well .. just interesting ..
Brian – there’s a post coming on weather. It does not at all get as cold in these Nordic countries. When it snowed, they didn’t bother to clear it. 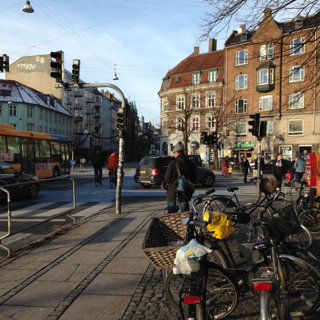 Exception – Copenhagen clears the cycle track (not the sidewalk and few streets). We normally clear the snow everywhere(in Denmark), except privatley owned roads, where it is the responsibilty of the owners. What you experienced Beth, was that the cycle tracks have the highest priority, since riding a bike through snow and ice is a bit of a challenge. The weather in Denmark is extremely unpredictable and dramaticly changing at the moment. That said, we do experience prolonged periods with -10 C where people still ride bikes, but the busses are usually at capacity 🙂 Looking forward to reading your thoughts about Nordic/Canadian transportation. Thanks, Thomas. I appreciate your reflection on my reflection. We didn’t seem to see sidewalks cleared at all when there was a bit of snow – is this because it was likely to melt? Who looks after that, the city or neighbouring property owners? I’m looking forward on your analysis on the two patterns, each with different aims. 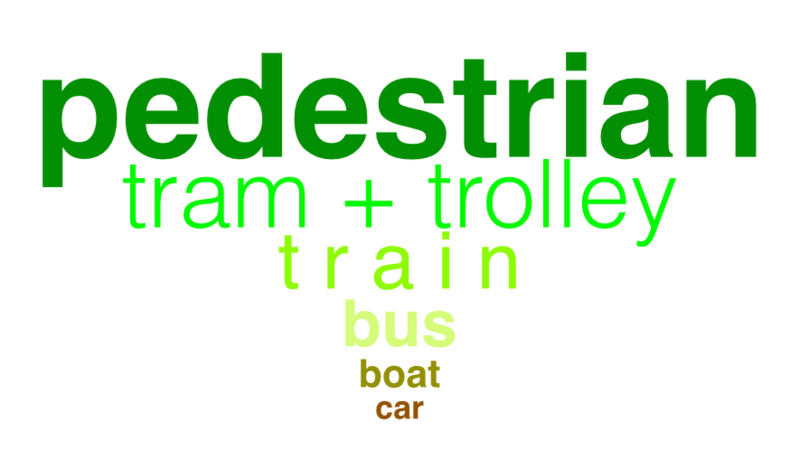 I’m studying travel behavior with different travel modi, based on the travel time acquired to reach certain primary facilities. However, in my study area (Belgium), the car always wins in terms of travel times. I can imagine this must be different for your case study. For example the weather plays an important role in the actual travel times via private transportation. And as you mention in your answer to Brian, it’s amazing that cities would rather clear cycling tracks instead of Streets (unfortunately this scenario is unthinkable in a Belgian context). There are always choices in how we organize our cities, and the choices and priorities we set for modes of transportation are a clear example of this. Why would clearing of cycle tracks be unthinkable in Belgium? Can you take a moment to explain this a bit for a Canadian who doesn’t grasp the Belgium context? While it can be colder on the prairies, Copenhagen and other Nordic cities can experience significant snowfall. With climate change our winters are milder, but the http://CopenhagenVikingBiking.tumblr.com blog posts photos everyday of Copenhageners cycling in snowstorms. 55% of Copenhageners ride bicycles each day and 80% cycle all winter. The city of Oulu, Finland, near the Arctic Circle has a mode share of 14% for bicycles in the winter. Hi Mikael – I will be at the Winter Cities Shakeup too. Look forward to meeting you. Hi, Interesting, I will follow your next posts. However I find the second picture very close to how it looks like in Stockholm as well. 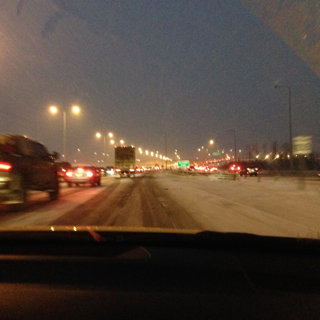 There are endless traffic jams and overwhelming amount of cars here to. Thanks, Frederik. I did not get to see all of Stockholm, and spent much of my time on public transport because it is so easy to use. the two patterns I am teasing out appear in all cities, in different degrees. And as you point out, in different parts of the same city, too.